Spring in Tucson means cholla buds and mulberries! Amy here with two of our perennial favorites, wrapped in crepes. A found a budding Pencil Cholla Cactus in a friend’s yard, and I could pick in exchange for a harvesting lesson. See Tia Marta’s Cholla bud post to learn how to collect and process this favorite desert food. This wasn’t a stellar year in the wild, so I was glad to harvest from a few plants thriving with a bit of care. Pencil chollas, hard to find in the wild, have few spines for the size of the bud and fall off easily when brushed. Mulberries are another cultivated cousin of a wild desert riparian food, and my grandfather planed a beautiful tree many years ago that produces enough fruit for birds, dogs and people, too. I cooked a bowlful of mulberries with a splash of rum and a squeeze of lemon. I added a bit of water while cooking, just to keep it from sticking. Brainstorming how to show off these little treasures, I remembered crepes! My mom and aunt taught my family to make crepes with a special electric skillet designed to dunk into a wide shallow bowl of batter, making a delicate skin and browning it delicately. Lacking the very wide, very shallow bowl and the electric crepe maker, I have been making them lately on a cast iron griddle. Start by whirling one cup flour (I used half whole wheat and half all purpose), one and a half cups half and half (milk or milk substitute works fine), 3 tablespoons butter melted completely (or oil), four eggs, and a dash of salt in the blender. Transfer to a quart jar or measuring cup for easy pouring. Heat a cast iron pan to medium, swirl the pan before the very first crepe with a small pat of butter, and take a relaxing breath. With one hand, pour batter on the griddle while quickly rotating the pan until the batter reaches the pan’s edges. Hopefully most of the batter is set by then, but if not, just use a little less batter next time and cook this crepe a little longer. If the batter gets too thick, thin with water so it is easier to swirl on the griddle. When the edges are papery and the bottom spotted with brown, flip the crepe with your fingertips and brown briefly on the other side. Stack the cooked crepes on a plate directly on top of each other. This batch of batter made about a dozen for me. Boil the de-spined cholla buds in water for 10 minutes, then drain. Heat a bit of olive oil, add a clove of minced garlic, a dash of salt and the buds. To make hollandaise, put one egg yolk, a tablespoon butter, a squeeze of lemon and a dash of salt in a double boiler. Whisk until creamy, adding a splash of hot water if necessary to thin the sauce. Incorporate one more tablespoon of butter and keep warm. The sauce can easily be doubled or quadrupled as necessary. Assemble, roll and enjoy! For Mulberry Crepes, you can add a pinch of sugar to the batter if you want. Spread a hot crepe with mulberry compote and a spoon of plain yogurt. Fold in quarters and garnish with pansies. 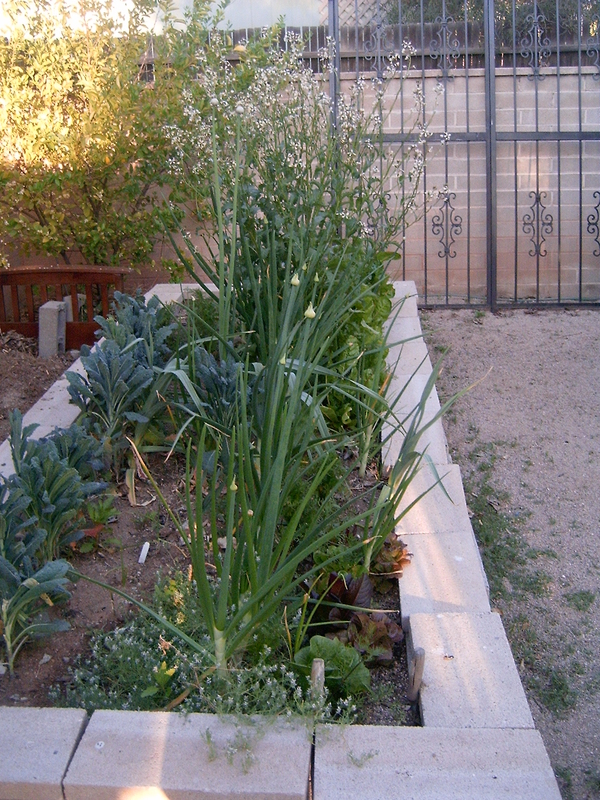 The Southwest is ideal for gardening all year long. Jacqueline Soule with you here to share some timely planting tips. Speaking as a gardener – one of the best things about living here in the Southwest is that every month is the month to plant something! Right now, in these cool months with short days and long nights, it is time to plant onions. If you have never before had a vegetable garden, onions are a great way to start. Of all the garden vegetables, they are tolerant of abuse and forgiving of mistakes. In the ground, in large or small pots, under the shrubs in the front yard of your HOA home (the weed-police are mollified by “bulbs”), wherever you have a little space you can plant some onions. As long as we get rain every ten days, you may not even need to water them. Onions fresh out of the ground have so much more flavor you owe it to yourself to try them. 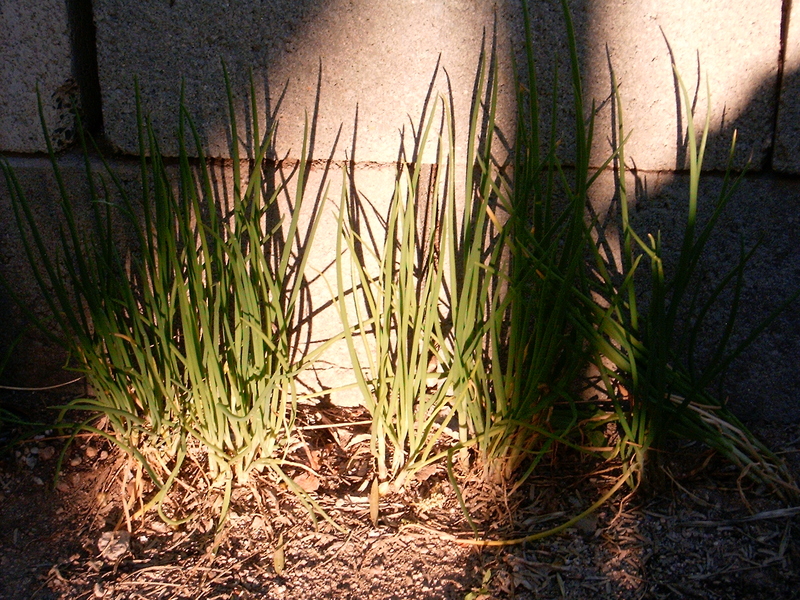 Onions can be tucked into almost any space in the yard. These I’itoi onions stay small. Which ones? There are more varieties of onions than you can shake a stick at, a number of different types with conflicting names (bunching, bulbing, multiplier) and technically a few different species, but rather than start a discourse on all of that, lets just key into the fact that the days are short, thus you need to plant “short day” varieties. Onion sets can be planted in pots with potting soil. Now? In the coldest time of year? Yes! But you will plant “sets” not seeds. 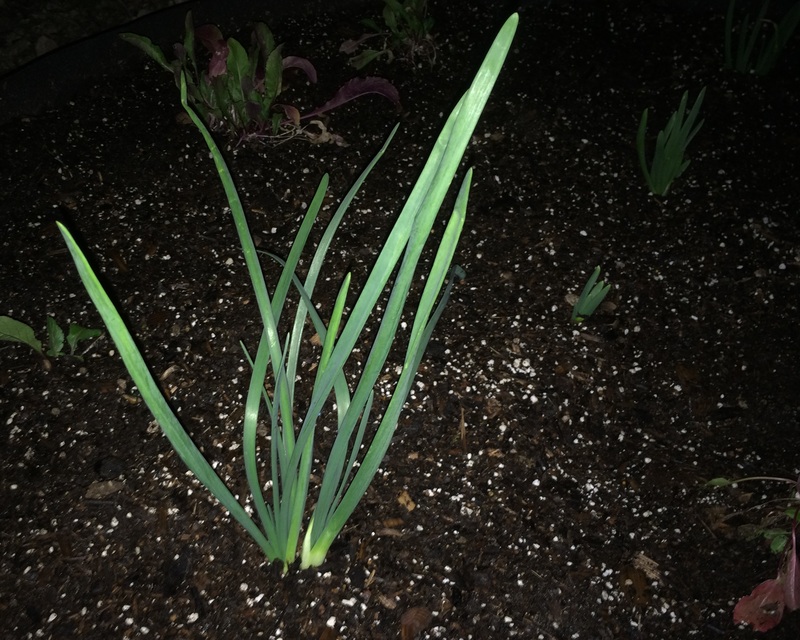 Sets are already started from seed onions, or, in the case of multiplier onions and garlics, they are divisions off a larger bulb. How to plant sets? Just set them into the soil. (Sometimes gardening terminology makes sense.) 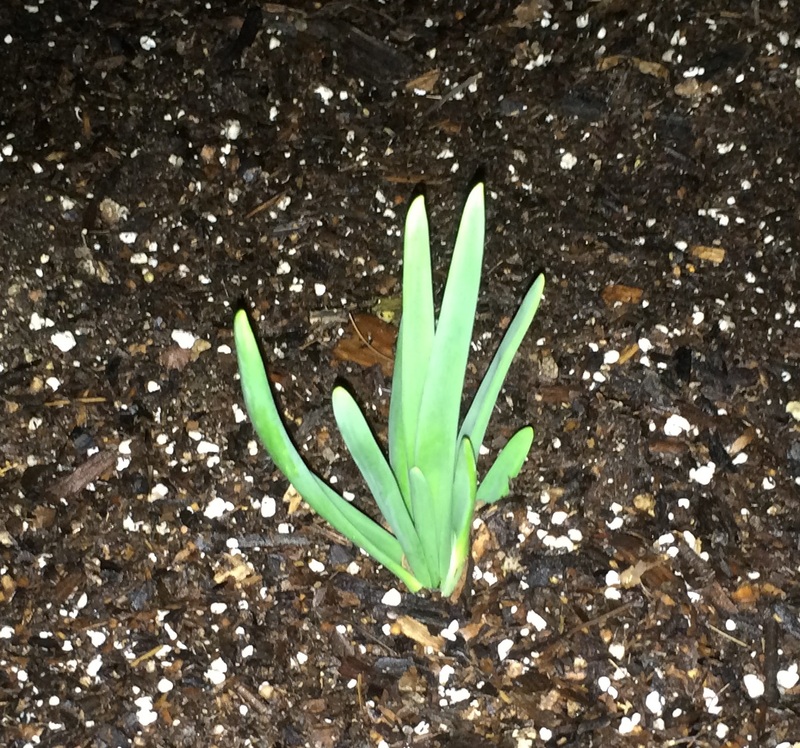 Plant with the green side up, the bulb entirely below the soil. Look in the background in this shot. Some varieties will grow faster than others. Most of our local nurseries know that now is the time for onions and have a selection of sets to choose from. Big box stores don’t – just another reason to shop local. In past years some of the Farmer’s Market vendors also offered onion sets. A general planting guide follows. Light. Remember the whole “short day” thing? The short days of winter will mean that the onions will need as much as you can give them. Soil is not as critical as with most vegetables. But for best overall health, plus full flavor and good final size of your crop, an improved garden soil is recommended. Or plain potting soil if you grow them in containers. Water is needed on a regular basis for nice fat bulbs and succulent leaves. In general this means two or three times per week, but maybe more if the onions are in pots. Fertilizer is not much needed by onions. If you want to, use one for root crops, high in nitrogen and potassium. Avoid fertilizer for flowers, like a rose or tomato food. Flowering takes energy away from creating succulent bulbs. 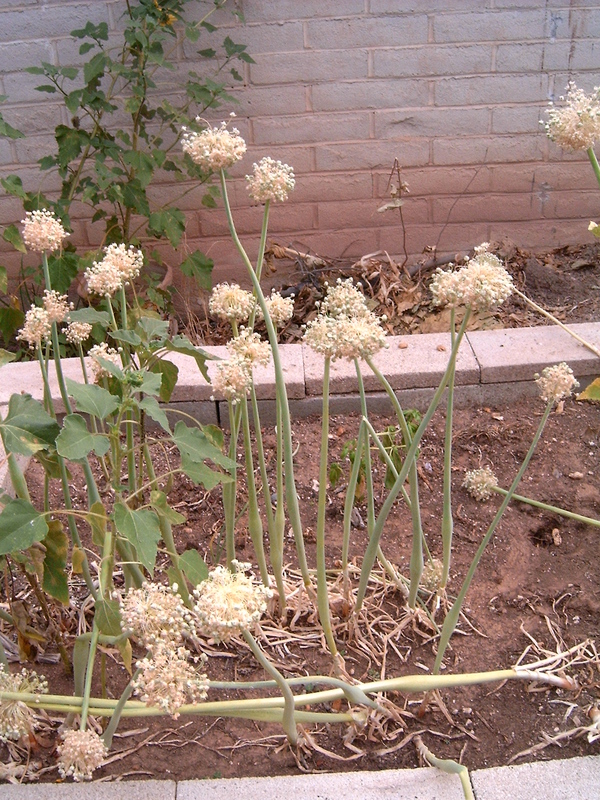 These onions got too much flowering fertilizer. Rather than develop good bulbs, they spent their energy producing flowers and seeds. Harvest – once the tops die down and start to turn brown (usually in late May into June). For long term storage the garden books from “back east” tell you to dry your onions in the sun – but don’t do that here!! – they will get sun scald and taste yucky. Dry onions in a cool dark place that does have good air flow. I put mine on screens in the laundry room and leave the ceiling fan on low for about three days. Once they have dried onions will store without rotting. Storage & Use. Some varieties of onions store better than others. Plan on about four months maximum for best flavor and texture. (Ours are eaten so fast this is not an issue.) 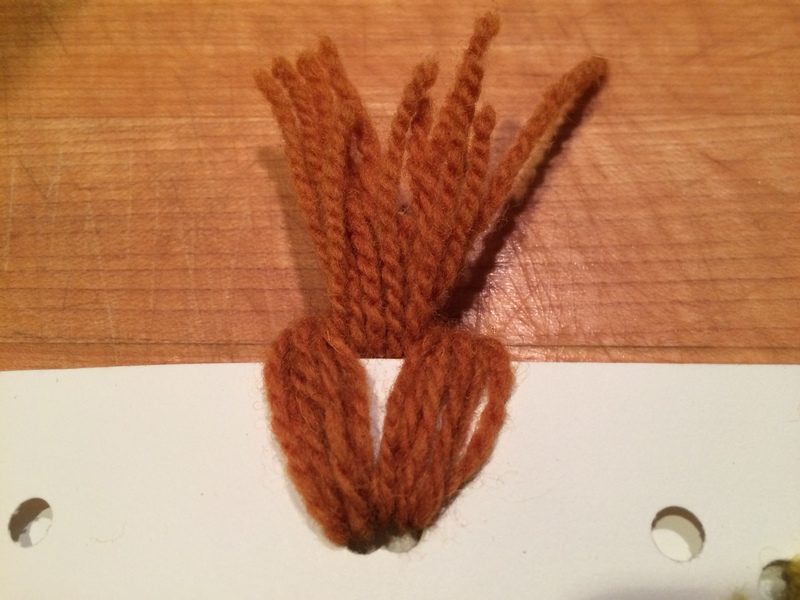 Don’t forget to save your onion skins to make a great natural dye for Easter eggs and textiles. I keep a bag to add my onion skins to every time I cook. 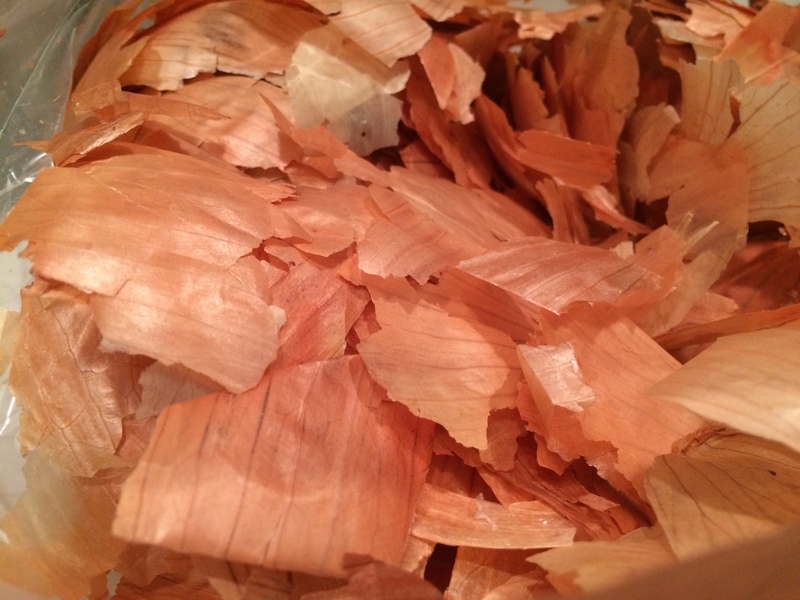 Onion skins produce a warm brown dye. For more about onions and other vegetables and fruits that will thrive in your Southwestern garden, please consider my book Southwest Fruit and Vegetable Gardening (Cool Springs Press 2014), available at Antigone, Arizona Experience Store, local botanical gardens, state parks, and nurseries.